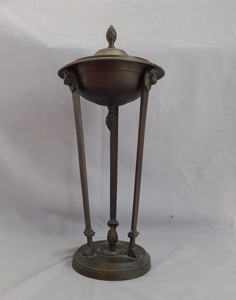 Patinated bronze classical lidded urn. 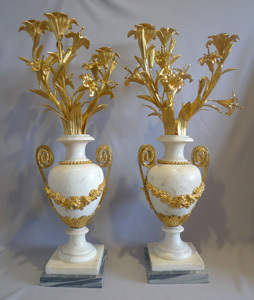 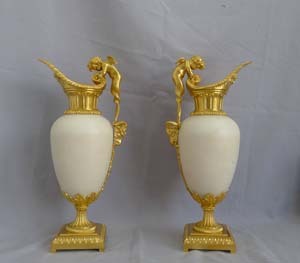 Antique Pair of French ormolu and white marble decorative ewers of outstanding quality. 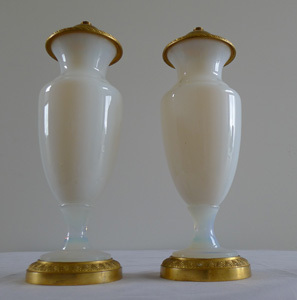 Pair of beautiful gilt bronze and opaline glass vases. 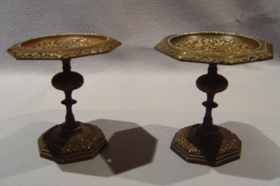 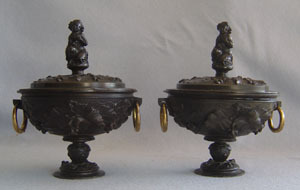 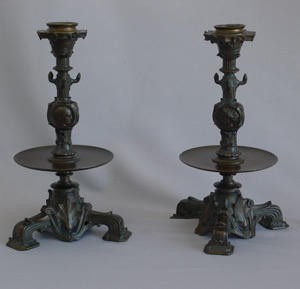 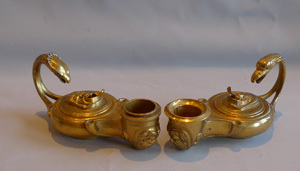 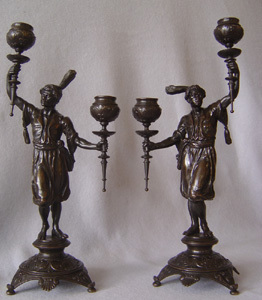 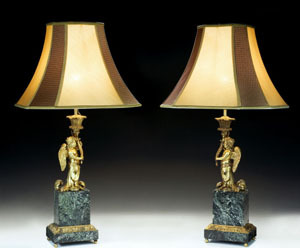 Pair of bronze candlesticks in the Empire style. 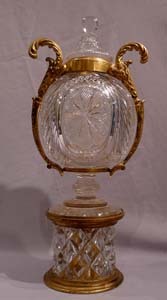 Antique glass and gilt bronze centrepiece. 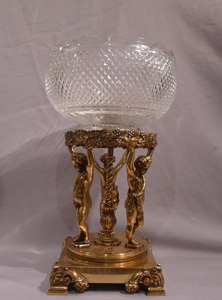 Antique French Napoleon III glass and gilt bronze centrepiece . 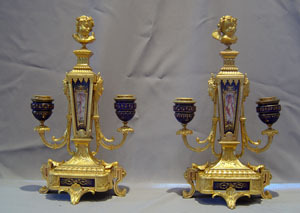 Antique pair of ormolu and cut glass table lustres. 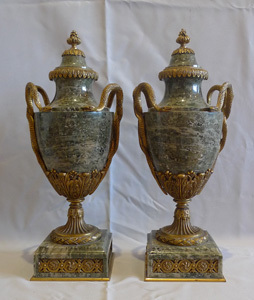 Antique pair of Russian malachite and black marble vases with ormolu mounts. 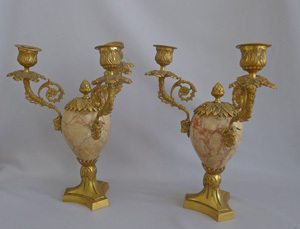 Antique candelabra, gilt bronze mounted white marble baluster shape. 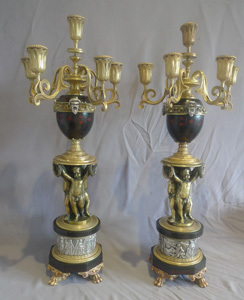 Antique and unusual pair of gilt and silvered bronze, inlaid marble 6 sconce candelabra. 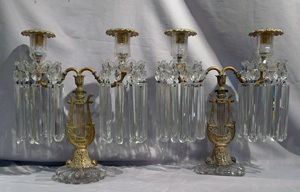 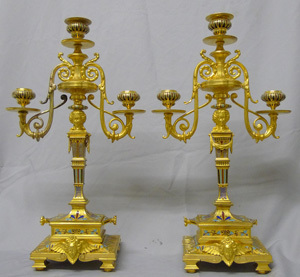 Antique Pair of ormolu and cloissonee candelabra in the manner of F. Barbedienne. 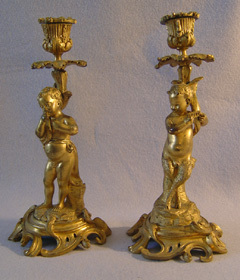 Pair of French ormolu candlesticks. 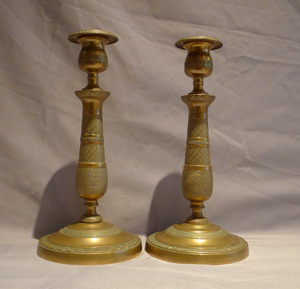 Pair classical oil lamp candlesticks signed F.Barbedienne. 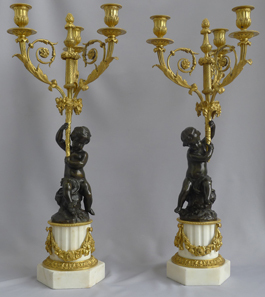 Pair antique French ormolu and jewelled porcelain candelabra. 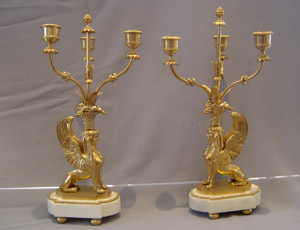 French antique sphinx candelabra, a pair in ormolu and white marble. 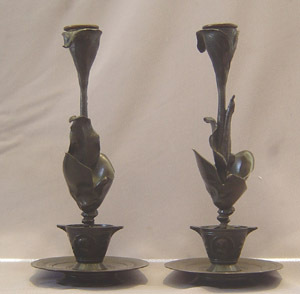 Antique French patinated bronze candlesticks in the form of a lily in a pot. 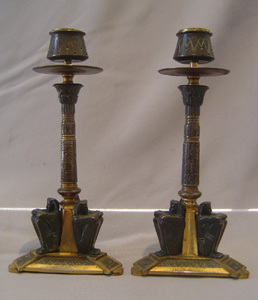 French 19th century Egyptian revival candlesticks in patinated bronze and ormolu. 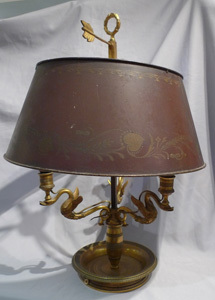 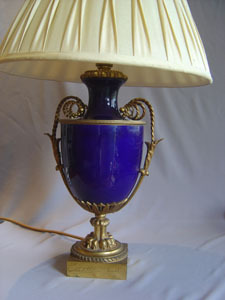 Table lamp in gilt bronze and blue porcelain signed Boudet. 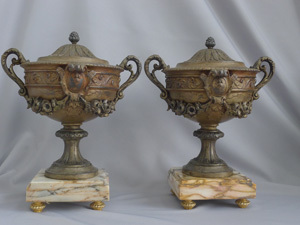 Pair of antique French patinated bronze lidded urns. 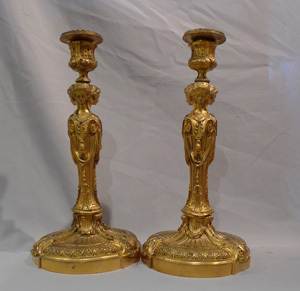 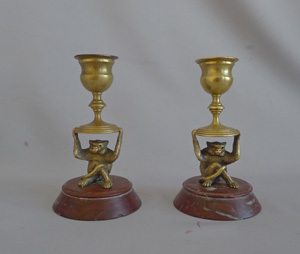 Pair of antique French ormolu figural candlesticks. 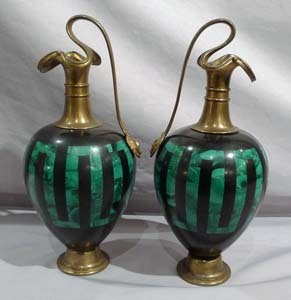 Pair Antique French patinated bronze tazzas.